Stun gun, as the name suggest, is used for stunning your enemies. It shocks your enemies with the deadly voltage that ranges from 6 million to 15 million volts. Moreover, it is easy to carry if you work in a night shift or even if you are out for a jog. 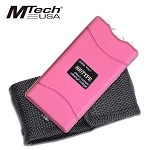 The flashlight stun gun and the pink stun gun are exceptional as you can disguise people around while carrying them. Immobilize your enemies with the best self defense weapon. 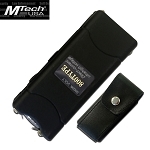 The stun gun is an important weapon used for self defense. If you are a late night traveler or live alone at your home, it will be of great help. The awesome stun gun immobilizes the target by sending an electric shock, allowing you to make a quick escape or make a call to the police. Being of no serious harm, you can carry the stun guns for your safety all the times. Knife Import have some good quality stun guns. 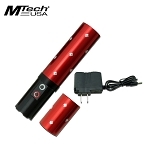 One of the best stun gun that we store is the flashlight stun gun. The electroshock from this weapon would be enough to bring any of your enemies to their knees. 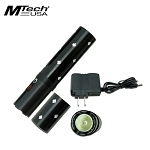 Moreover, you can disguise your enemies with it as it is a flashlight with the qualities of a stun gun. Knife Import offers the best collection of stun gun for sale, which include the lipstick stun gun, pink stun gun, police stun gun, cell phone stun gun and many more. The lipstick stun gun coming in the hidden objects which is an awesome item to carry. No one would be aware if you are having any weapon on you and once they approach you, you could be teaching them a good lesson. The stun gun is indeed the best self defense weapon that is of top quality and is quite effective as you can instantly scare off your attackers. With the electric shock and loud noise, the stun gun produces, your attackers surely are in for a scare. Browse our collection of some of the stun gun flashlight and place your order. Knife Import has been dealing in wholesale products for quite a while and it is thing which keeps you happy. Ordering in bulk would not only save your money but you could also be making profit by selling out of them.